Sarteneja is a coastal fishing village of approximately 3,500 residents in the Corozal District of Belize (18°21′12″N, 88°8′46″W). The main economy of the village is lobster and conch fishing, with growing tourism industry. 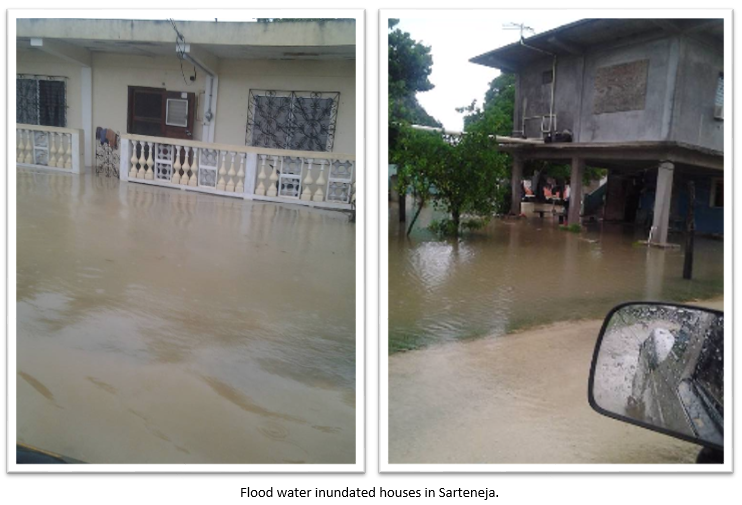 In recent years, the town experience more and more severe flooding. Anecdotal evident shows up to 27 inches of rain fell within 4-day in October 2014. Up to 380 people were displaced and 91 homes were damaged. The frequency of such severe flooding has increased in recent year due to global scale climate change. And the risk of critical infrastructure damage and the outbreak of disease is high with each flood event. 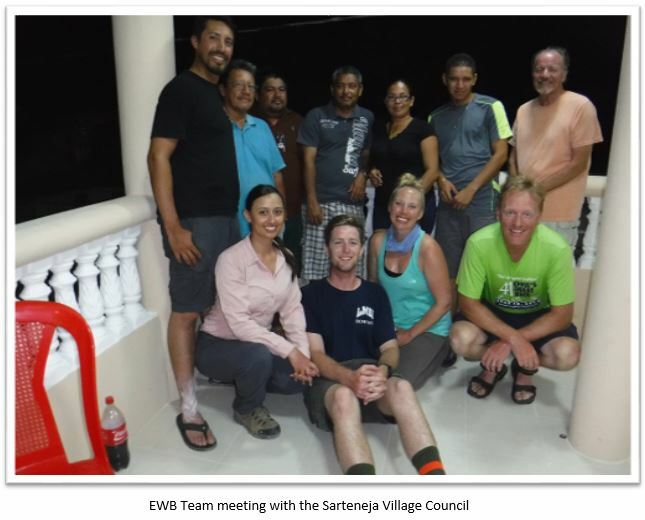 The Sarteneja community reached out to EWB-USA for technical advice and support to plan and build effective drainage system within the village. 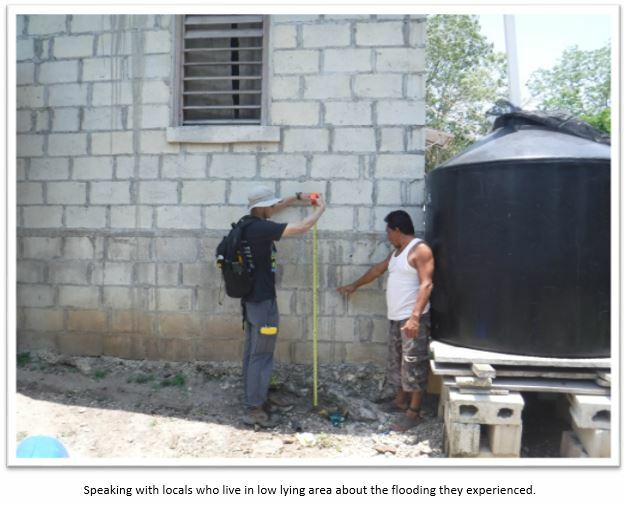 Through EWB-USA, the Sacramento Professional Chapter connected with the local community and non-profit group to develop solutions that will suit the village’s need and future development plans. The Sarteneja Team made a successful assessment trip to the fishing village in May 2017. We spent 10 days in the village to meet with the local official, village council and non-profit partners to discuss the project goals and collaboration effort. We collected topographic data and installed gages to monitor groundwater, ocean tide and surface water for existing condition assessment model and design development. We are preparing an assessment report to summarize our findings and lay groundwork for alternative analysis for the drainage improvement. Get involved with our design, outreach and fundraising effort. If you are interested to find out more about our project. Please send us a message through our Contact Us Page or meet our members at the General Meeting.